What is an etheric retreat and how do I get there? 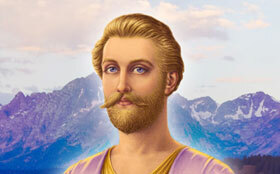 How can I meet with the ascended masters on the inner planes and attend their classes? How can I contact healing angels? What are some healing mantras I can use for myself and others? 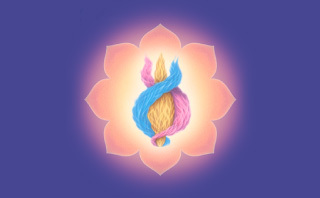 How do the healing flame and the violet flame complement each other? Mrs. Prophet, tell us more about the healing masters and their etheric retreats. These spiritual retreats are very real, even though they are on what is called the etheric plane. 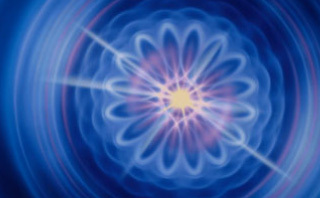 The etheric plane corresponds to the etheric body, or the fire body. The etheric plane is the place where our souls abide during periods of rest between incarnations. We may also go to the etheric plane while our bodies sleep at night. The soul, in the etheric body, may take its leave of the physical body and journey to these retreats of the Brotherhood—and specifically to the healing retreats when it is healing that we are seeking. For instance, beloved Mother Mary and Archangel Raphael have a healing retreat over Fátima, Portugal. When I say “over,” I mean in the etheric plane. So you don't necessarily have to physically journey to Fátima for healing. You may make a call to the angels of Mother Mary and Archangel Raphael to take you to their retreat while you sleep at night. There you can enter into communion with the thousands upon thousands of healing angels who serve under Mother Mary and Archangel Raphael. This is a mantra that was given to Mark Prophet by Mother Mary. He wrote it down for those of us who may not remember the mantras we are given in the inner temples. The recitation of this mantra puts one in attunement with the consciousness of Mother Mary because these are her words dictated to the messenger. 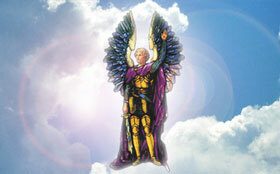 It's really very exciting to work with the healing masters and with the healing angels. They have given us a number of decrees and mantras, which we use each Wednesday evening at our healing service and our “Watch With Me” Jesus' Vigil of the Hours. Our Wednesday evening service is dedicated especially to praying for the sick. We receive requests from all over the world asking us to pray for those who need healing. During the week these letters and requests are placed in our healing chalice. Each Wednesday evening we offer this chalice to God and we pray to God through Jesus Christ and all of the healing masters to send healing not only to those whose names are in the chalice but to all those who are praying for healing anywhere in the world. Anyone is welcome to send in the name of a loved one and we will place it in our healing chalice. What does one do to get oneself or a loved one to the healing temples? It is important to pray to God and to Jesus and Mother Mary to take one's soul to the healing temples. Offering a simple prayer before retiring at night may accomplish this or it may not. The reason it may not is that sometimes people's consciousness is so dense that their souls actually cannot navigate free from their own emotions or their own mental concepts about why it is not possible or why they cannot get there. Or perhaps just the general densities and effluvia of the world act as a block. This is why those who would like to have the experience of meeting with the ascended masters on the inner planes and of attending classes held in these retreats need to begin now to give the “Heart, Head and Hand Decrees.” We need to be decreeing each day so that our temples, our vehicles, are becoming lighter and lighter and we will therefore gravitate to the higher octaves of the Spirit instead of to the lower astral planes. These astral planes can be experienced as restless nights, sleeplessness, nightmares. When you awaken in the morning, you don't feel refreshed or that you have returned from a high experience; you feel burdened with the cares of the day and the previous day, and so on. Is it possible for someone who is in a great deal of pain to benefit from these opportunities? Those who are experiencing the burden of intense pain or a serious illness may find solace in the dictations of the ascended masters, which we have recorded and which are available. Also, it would be well to have a loved one secure the “Heart, Head and Hand Decrees” and give these decrees in the room with the beloved one who is ill. There are many invocations and decrees for wholeness contained in our decree book (which may also be secured) and family and friends may diligently pursue these invocations where the one who is ill cannot do so for himself. To all those who are suffering I say, it is simply important to know that God is present now in the Father, the Son and the Holy Spirit to transfer to you the love that will produce your wholeness. Even if there has been a past sin, or karma, or misuse of energy, the decision now to become one with God is the key to your wholeness. That decision and the follow-up in properly using God's energy will insure for you, whatever the stage of your condition, a better resurrection and an eternal reunion with God here and now or in the life to come. I'd like to offer a prayer for healing on behalf of all those who require healing. At the blanks, each one should insert the name of a friend or loved one who needs healing. The flame of healing is a brilliant emerald green, and you should visualize it as a pulsating flame around the one for whom you are seeking God's healing love this day. We use this healing flame of brilliant green in conjunction with the violet flame. The violet flame is for the removal of the cause and core of the condition, and the healing flame is for the bringing of God's energies within the body temple into alignment once again.